Please see this page for more information on how to find the best lessons for you. 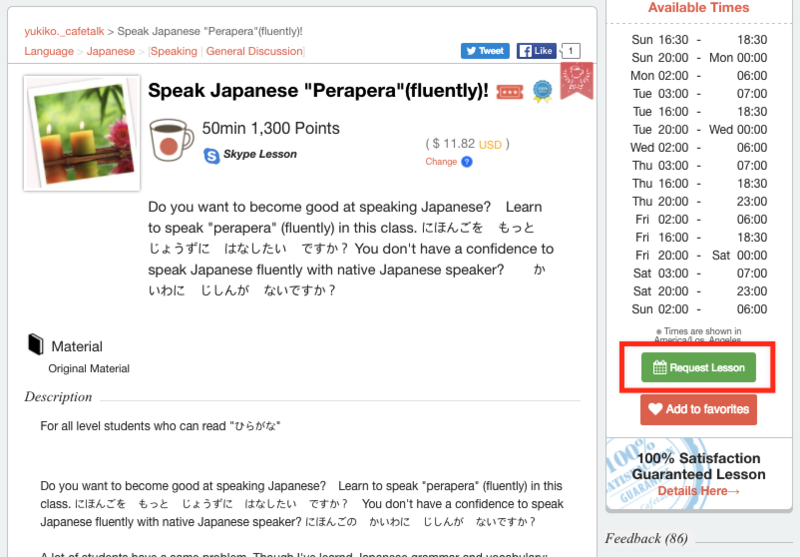 This button is on the bottom lesson details page, on the right hand side of the lesson details page (under the tutor’s schedule), and on the tutor profile page. 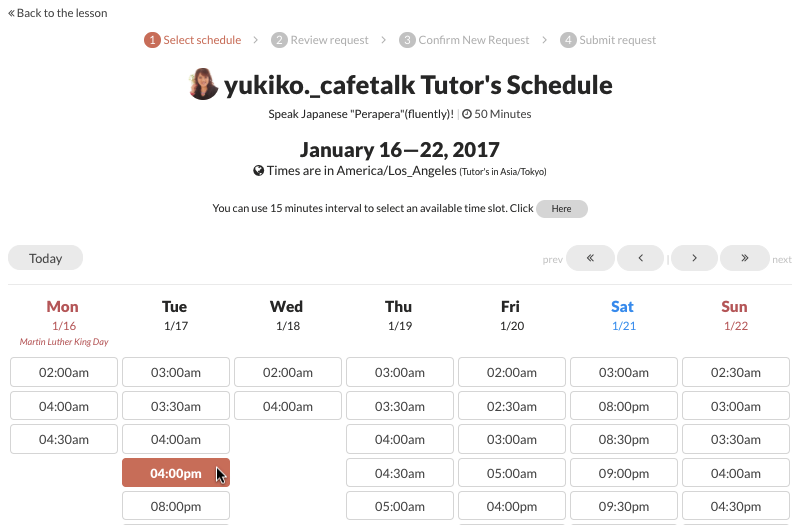 Once you click the "Request Lesson" button, you will be taken to the scheduler. We recommend requesting lessons about 2-3 days in advance. Once you select your desired date and time, you will be taken to the "Create New Request" page. 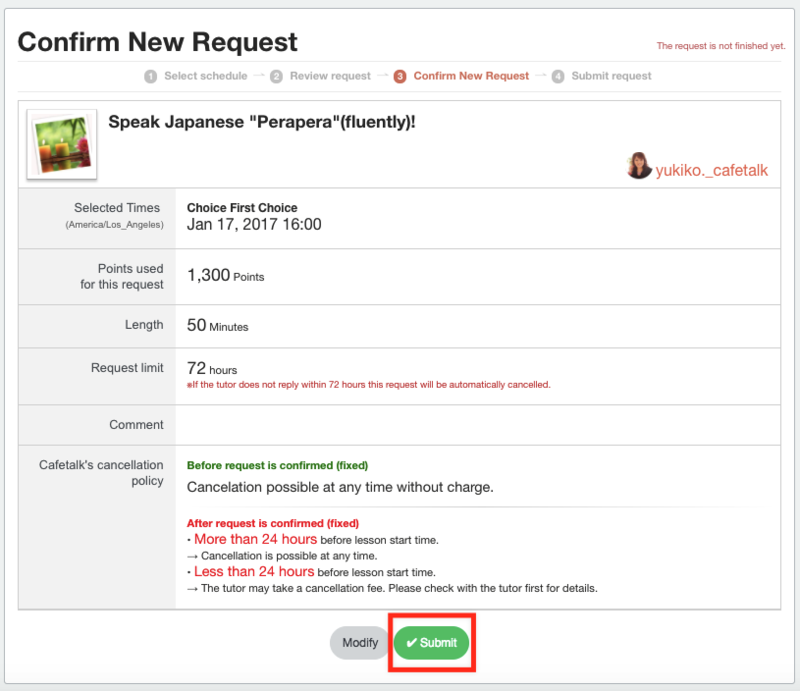 On the “Create New Request” page, double check the lesson title and time. 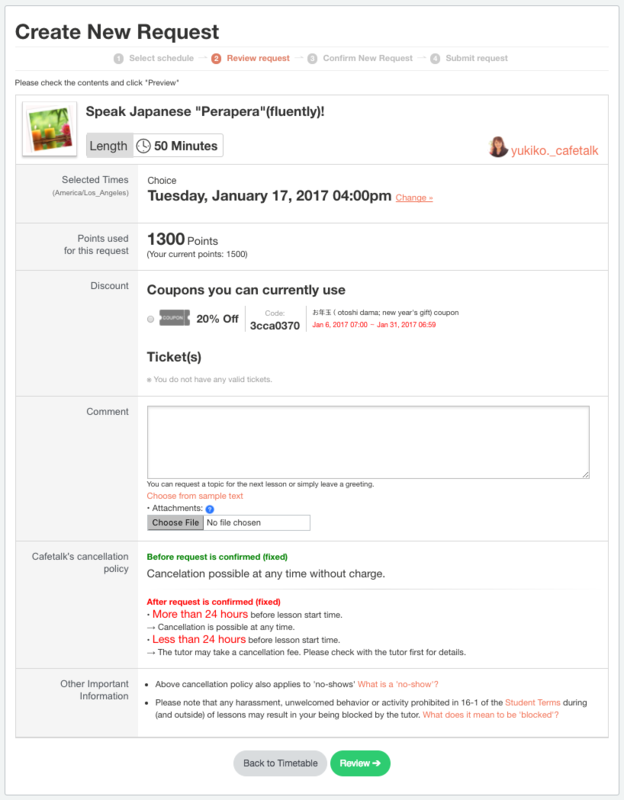 If you have any valid coupons, they will be displayed on this page and you can click on them to apply the discount. If you’d like to send a message or introduce yourself to your tutor, you write in the comment box. Under the comment box, there is a button that’ll allow you to upload a attachment if you’d like to send a file. Click on the green button that says "Review" and you will be taken to the next page. Make sure all of the information (lesson title, lesson time, amount of points) looks correct, then click "Submit." Make sure you reach the "The request has been sent" page to confirm that your request has gone through successfully. Once your tutor receives and confirms the lesson, the appointment is set. 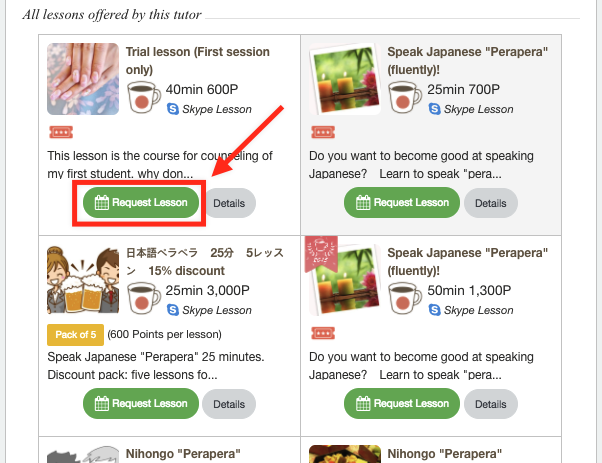 You can check the lessons you requested by logging into your account and clicking on "Request" from the menu at the top. 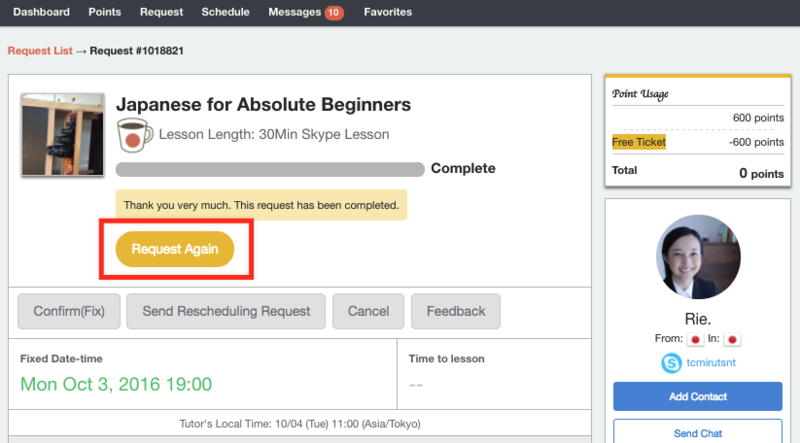 You can easily request another lesson by going to your list of requests and clicking on the yellow "Request Again." This button also appears on the lesson request page for completed requests.